I am really out of the blogging habit after my summer hiatus. 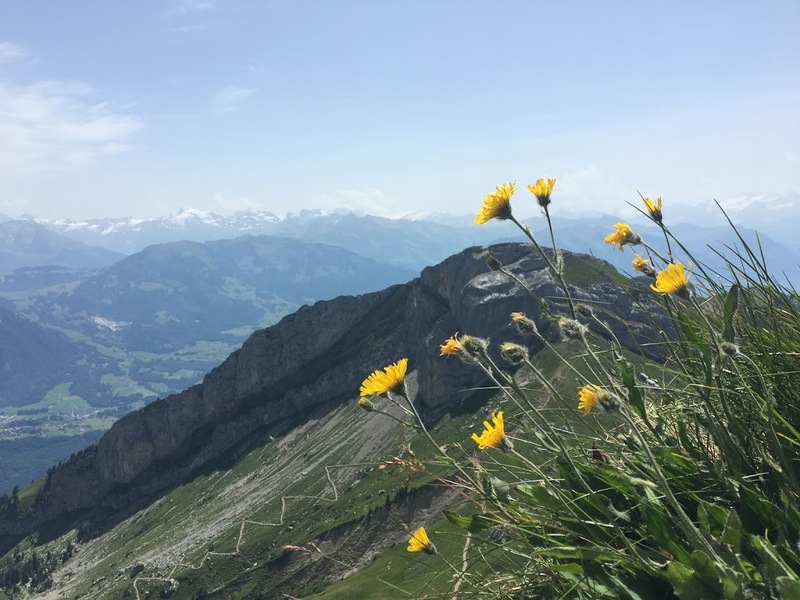 It was a complete whirlwind of a summer beginning with four trips to some high altitude places – Chicago skyline, British Columbia, Colorado and Switzerland. After almost two months of travel, I was ready to come home and find my roots. My vegetable garden and my flower gardens also found their roots while I was gone! I gleaned so much from my Inner Peace Training programs this summer. 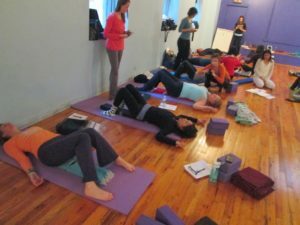 Functional Yoga Therapy with Maria Mendola was a study in the body, how it moves and therapies to support it’s ease of movement. Studying intently with Neil Pearson and Lisa (Bergly) Pearson in Pain Care Yoga firmly rooted by interest and passion to help those with chronic pain. And finally the completion of my last residential Inner Peace program was the frosting on the top of the cake as well as the gooey insides. It has inspired me to become an intuitive healer working with my own energy and the energy of others. Switzerland was a good time of food, new friends and sights to delight eyes, ears, mouth, skin and nose. One of the ways that we can set intention in our yoga practice is through a Sankalpa. Read on to learn how to set your Sankalpa for your practice, for your life. Lie on right side of bolster with hip at the base of it. Torso should rest on the stack. Right arm should be under the head. The left arm can reach over the head to increase the stretch. Close your eyes and allow your body to relax and release any stress or tension. Slowly sit up and switch sides for the same amount of time. Grounding Version – extend legs so that feet touch the wall. 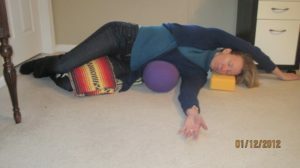 Add extra blankets or bolster along spine to support your back. Cover with a blanket for extra comfort.